I’ve been using QBSE for a year now and love it. It’s easy, powerful, and saves me a lot of time — it’s also economical, at only $10/month ($17 if you want to include TurboTax Home & Business for filing your taxes, which I do). The first thing you do with QBSE is connect it to your business bank and credit card accounts, as well as PayPal, so it can automatically read in the transactions. This gives you a single register of all your business transactions, and as new transactions appear, you have the ability to label them as Business or Personal with a single click. 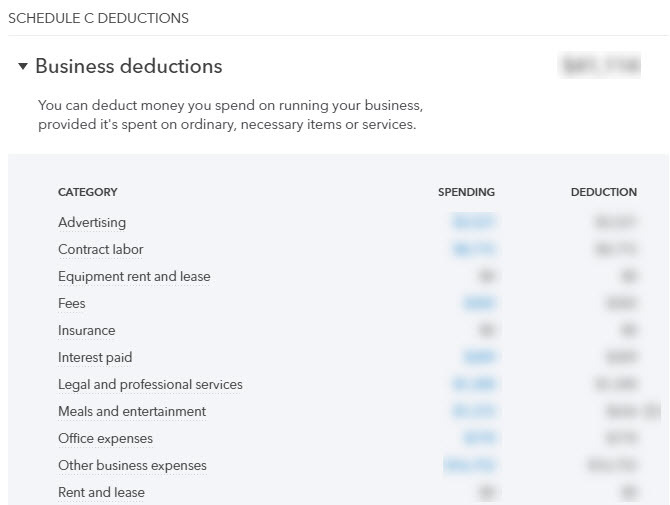 You also categorize the business items based on Schedule C categories for taxes, and QBSE lets you set up rules to do this automatically. For instance, all payments to Facebook can be set as Business and Advertising automatically. All of those get totaled up into their categories at the end of the year so you can print them out for your tax professional or they transfer directly to TurboTax if you use that. This, in and of itself, is worth the price, in my opinion, but QBSE does a lot more. It constantly calculates your estimated taxes throughout the year, telling you at any time what your quarterly payments should be. In doing this, it takes into account your income and expenses from the previous year (once you’ve been using it long enough) and, very useful, it takes into account your day job income and withholding — so its calculations of estimated tax accurately take into account the tax bracket that your writing income falls into. The next feature that I make use of is the mileage tracker in the QBSE mobile app. This tracks your driving and lets you label each trip as business or personal. If you make a lot of trips to cons or events, it’s a huge convenience. You just periodically open the app, then swipe right for Personal or left for Business on each trip. 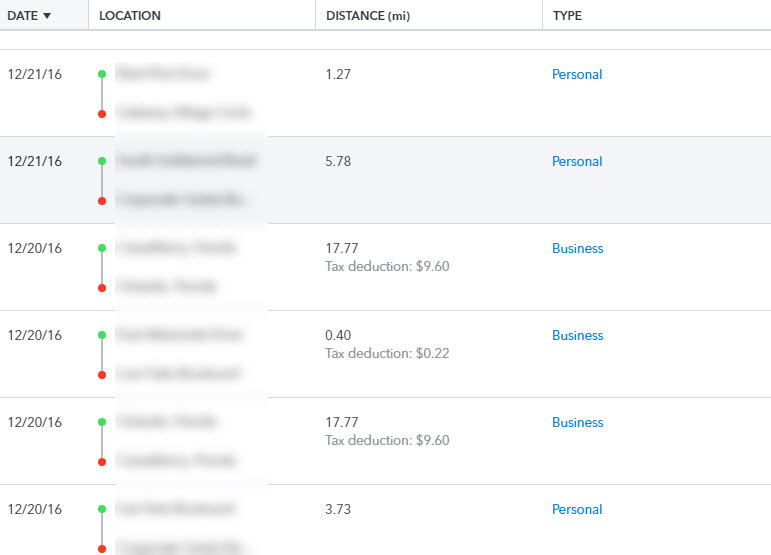 At the end of the year, you get the total business mileage and deduction, as well as a spreadsheet of all the trips documented for tax purposes. 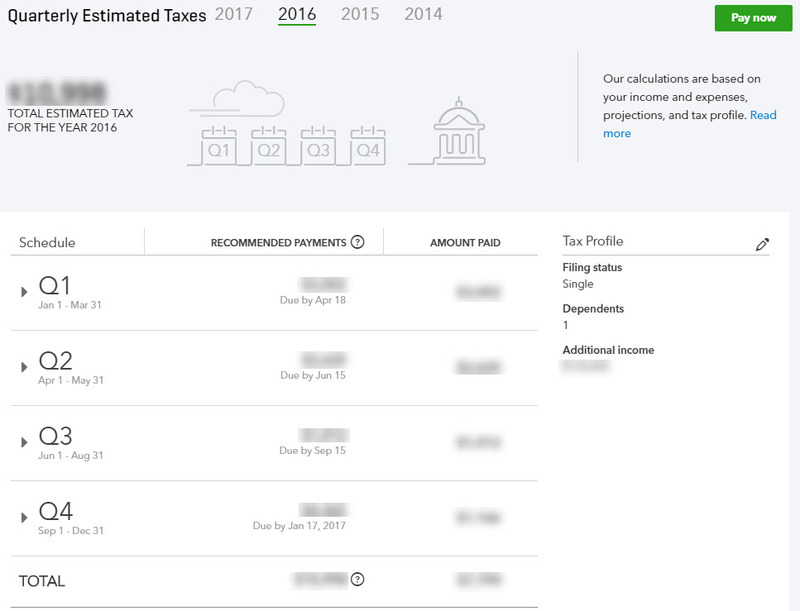 If you have an accountant or tax professional, they might use Quickbooks products as well, and QBSE allows you to share your information with them directly online. And, if you do any editing or cover designs in addition to writing, you can send invoices directly from within the application. 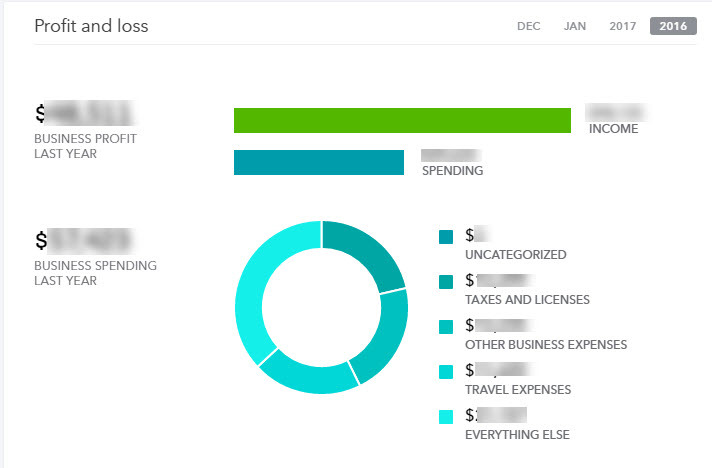 And it’s kind of fun to watch the dashboards update you on your business every time you open the app. Overall, Quickbooks Self Employed is a huge timesaver and makes for more accurate records. I highly recommend it.